France coach Didier Deschamps admitted France must raise their game as they prepare to face Argentina and Lionel Messi in a World Cup last 16 clash on Saturday. Two years after losing to Portugal in the final of Euro 2016, a star-studded but underperforming French side desperately need to find their form and fluency against Argentina if they are to avoid an early exit. "The only thing I'm focusing on is the match tomorrow," Deschamps said Friday ahead of his 80th game in charge. "Our group games left a mixed impression, so I would dare to say that from tomorrow it's a new start for us. France reached the quarter-finals in 2014 and, amid reports Zinedine Zidane is waiting in the wings to succeed Deshchamps after he left the Real Madrid hotseat, the 49-year-old is under pressure to take France to at least the semi-finals. 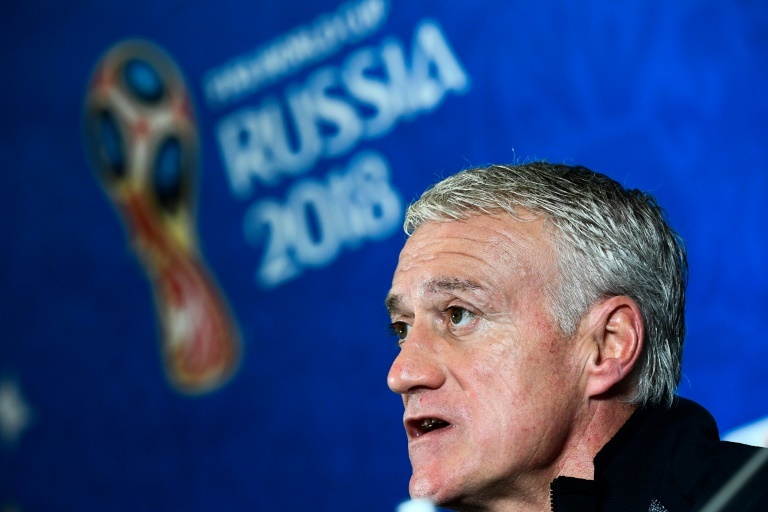 Faced with a barrage of questions on how France can stop Messi, Deschamps admitted the Barcelona star, despite a stuttering World Cup so far, was a game-changer. "Messi is Messi," added Deschamps. "You just have to look at his statistics, he's got 65 goals in 127 matches. That tells you everything. "Ideally, we have to neutralise him, but we know very well he has what it takes to make the difference. "He's talented, he's unpredictable and can produce little sparks that can prove decisive. "When you play Argentina and Messi, you have to look at every solution possible. "The Argentines are a very experienced side. Look at (Javier) Mascherano, he's nearly reached 150 caps, and they're used to playing at the World Cup. "We have a young team, but that doesn't stop us being competitive." As well as putting the brakes on Messi, key to France's last eight bid will be Atletico Madrid striker Griezmann. But two years after scoring six times and making seven assists to steer France to the Euro 2016 final, Griezmann has had a quiet tournament. He has also faced criticism for his decision to announce he was staying at Atletico Madrid, rejecting Barcelona's advances, in a slickly produced 40-minute video which aired on the eve of France's opening game. 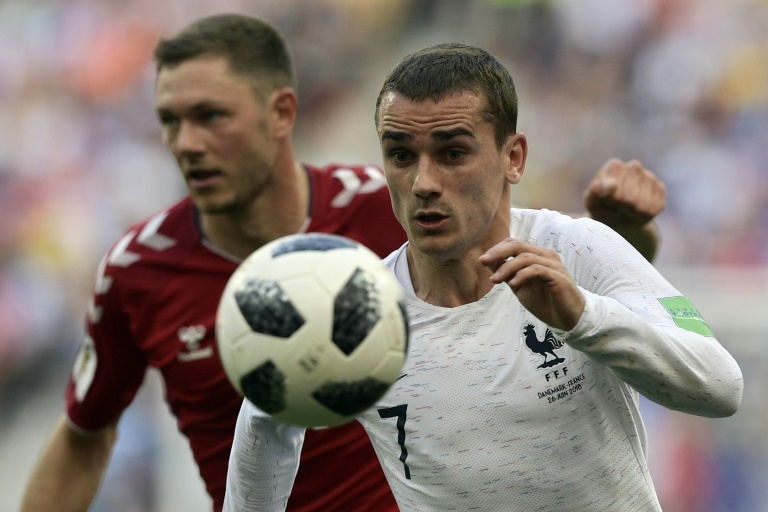 Deschamps expects more from the 27-year-old, and said: "He's had a difficult start... the France team needs Antoine Griezmann to be at his best level, and I hope tomorrow that will be the case." Kylian Mbappe, the 19-year-old Paris Saint-Germain striker who rescued Les Bleus with the match-winner in a shaky 1-0 victory over Peru, is also expected to start at Kazan Arena, where France were lucky to beat Australia 2-1 in their group opener. France goalkeeper Hugo Lloris believes Mbappe could also be key. "We can't compare him to Messi," said Lloris. "He has great qualities, but he needs opportunities and I think he'll have more than he did in the first three matches. "Kylian, despute his young age, has the ability to make the difference and I hope that will be the case tomorrow." Tottenham shot-stopper Lloris added: "We can't forget Argentina lost the final last time out. "We're facing them in a last-16 knockout game. We owe it to ourselves to play our very best."